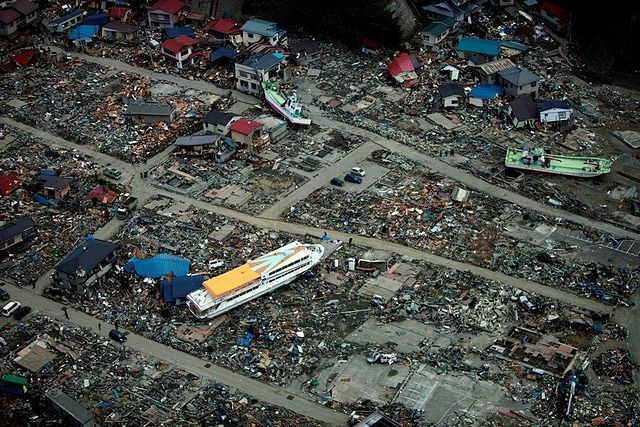 This is a reading comprehension exercise about the 2011 Tōhoku earthquake and tsunami, and its impact on the nuclear power station at Fukushima. It covers topics from Chapter 4 (natural hazards and natural disasters) and Chapter 1 (energy sources) of LinguaFrame’s textbook Science – ESO 2. Photo: U.S. Marine Corps; by Lance Cpl. Garry Welch.